As we get closer to a (big?) event like this, we narrow down the timing and snowfall forecast. That’s happening this evening now that all model runs are in. Nothing really new model-wise until late morning Friday. 1) If you have a choice between a two-wheel drive and 4×4? Take the 4×4 to work Friday. For example my wife & I have a pickup and a Subaru. I just decided the 4×4 would be a much better choice just in case roads turn snowy quickly in the evening. No, she won’t get stranded on the side of the road, the other vehicle will be at home. 2) Models are all faster with snow arrival, coming in right near the end of the evening commute (6-9pm). At first it may not stick. But considering the cold airmass over us and very dry air to start, I’m thinking temps may fall quickly and wet roads freeze up at some point in the evening. Or snow starts sticking on top of slick ice underneath…you get the idea. 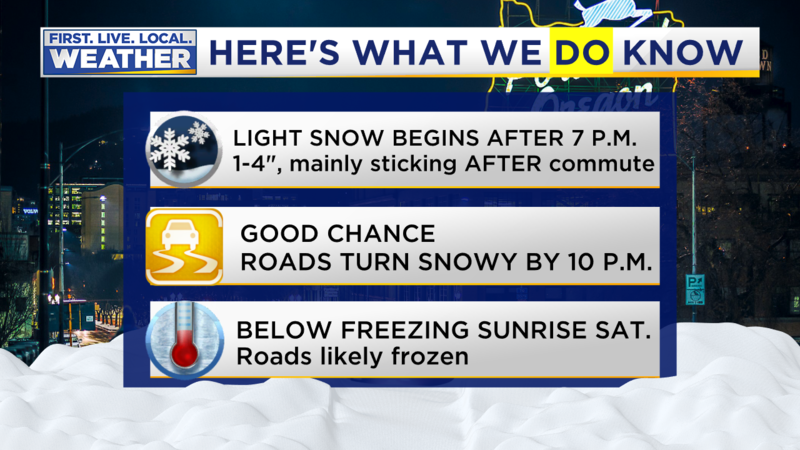 As of now I’m expecting that evening commute to be okay, but it doesn’t hurt to plan ahead JUST IN CASE we’re a few hours off! 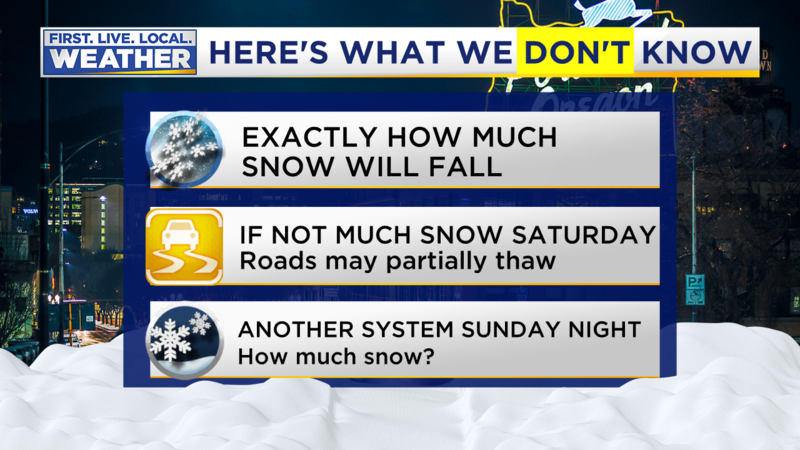 3) Most of the snowfall will be tomorrow evening through very early Saturday. Less now during the day Saturday with the faster timing. This means roads will likely be snowy and icy right away Saturday, but the rising February sun angle could mean much better afternoon conditions…maybe. I’ve sped up the timing for Wilsonville down to Eugene in the Willamette Valley and along the coastline. 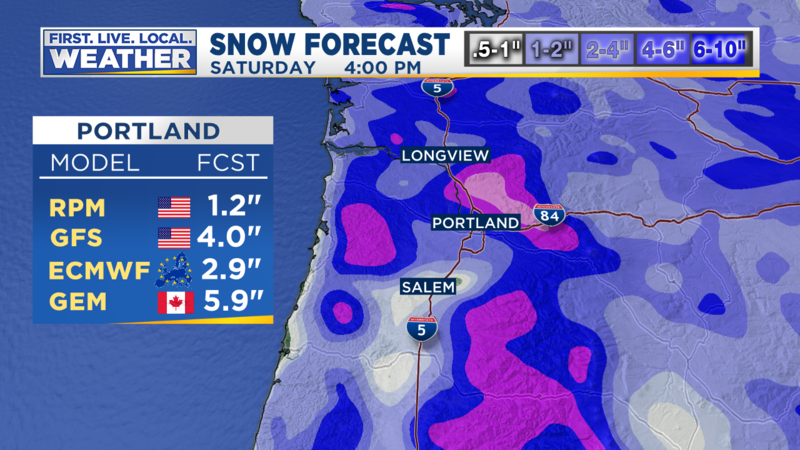 The Columbia River Gorge will be windy, snowy, and cold Friday night and Saturday. I’ll be posting again late tomorrow morning or around noon. New and improved...not! Does anyone click the ads or are they there to annoy the loyal bloggers? Will this be primarily an outdoor event. Rod Hill was talking about a south wind by Tuesday making that storm a rain/snow mix. Anyone else see that happening? I will keep you updated on the conditions in Sherwood. Going to be a fun next 4-5 days.